GreenBeanTeenQueen: What Do You Wish Librarians Knew? What Do You Wish Librarians Knew? 48HBC Day Two Starts Now! 48 Hour Book Challenge=Starting Now! 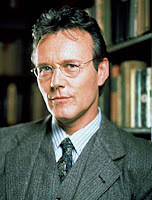 Giles is the king of librarians!! Definitely the king of librarians. I want librarians to know that just because my book is overdue doesn't mean I've treated it badly. But I'm an adult, so that may not be the kind of thing you wanted to hear. And yes, I am interested in this question as well! Do post the answers you get. Our library allows cell phones, just a note. I don't like to be approached, but I do like to talk when I go up to the front desk (which is the first thing I do, lol, to return my books and see if I have any books in), I'd just feel too much like they were crowding me if they came up to me (mostly because our library is supersmall). Excuse my ignorance, but what do you mean by better booklists? I would love for our library to have a more interactive website as ours is only part of a regional site and not very personalized to our library. Sorry about the mini-rant! I didn't notice it until it was done, lol. Oh! And I forgot, I should point out that my library does not have late fees, not until the book's been out so long they're calling it lost.